Downloads all around the world - and counting. Average rating from 20,000+ ratings. Items added worldwide since you came here. 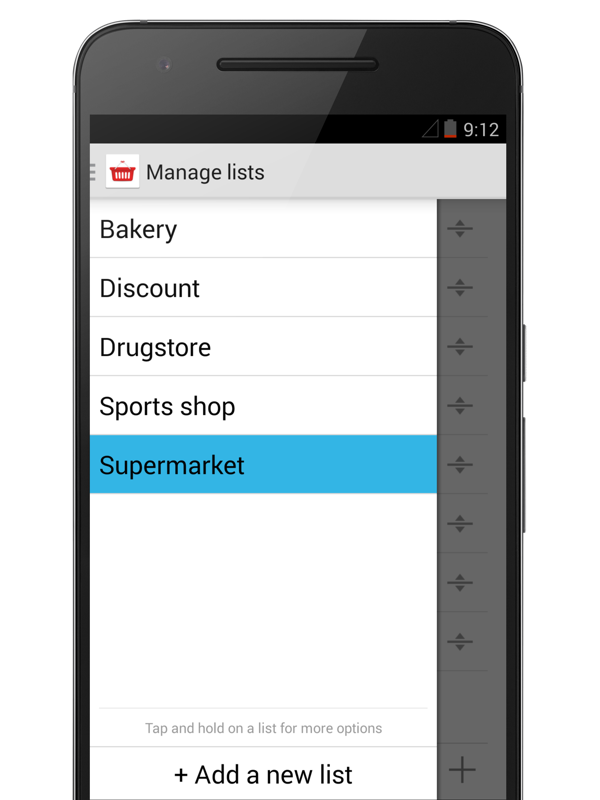 These are the features that make Shopping List for Android so user-friendly. Start typing the name of an item, suggestions will pop up and help you. Keep a simple overview of what you have already bought or put in the cart. Easily move items on the list using the drag&drop icon on the side. Create as many lists as you prefer and separate items by store. The app learns your shopping habits and personalizes the suggestions for you. Missing a language? Help us translate the app here. 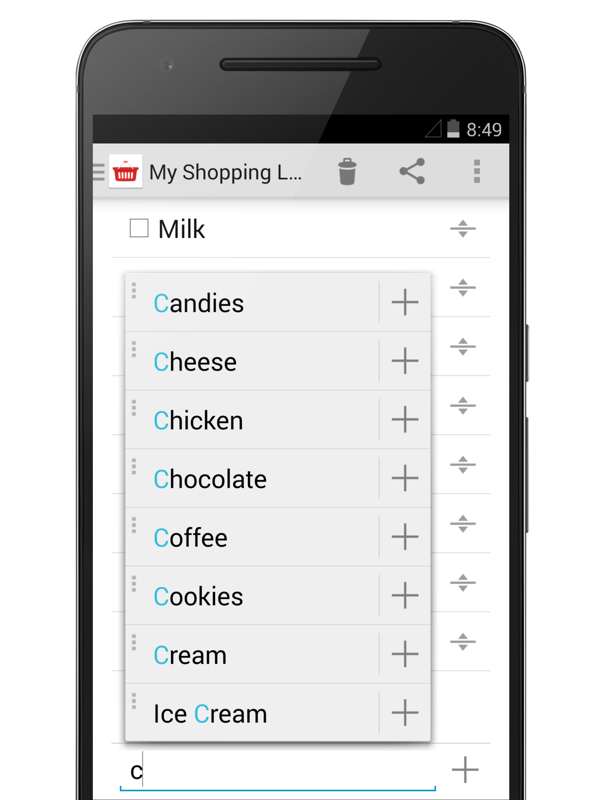 Shopping list is a free app available on Google Play. 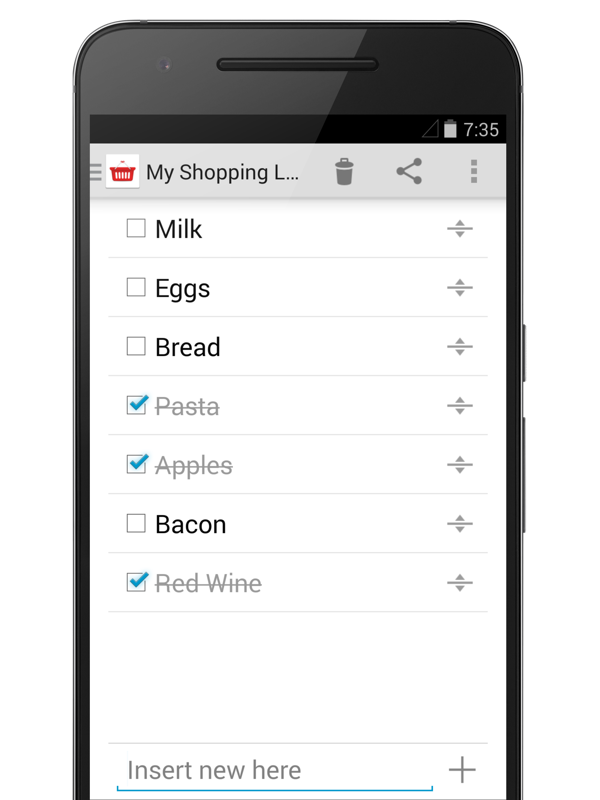 Create separate lists to organize your shopping trips best. 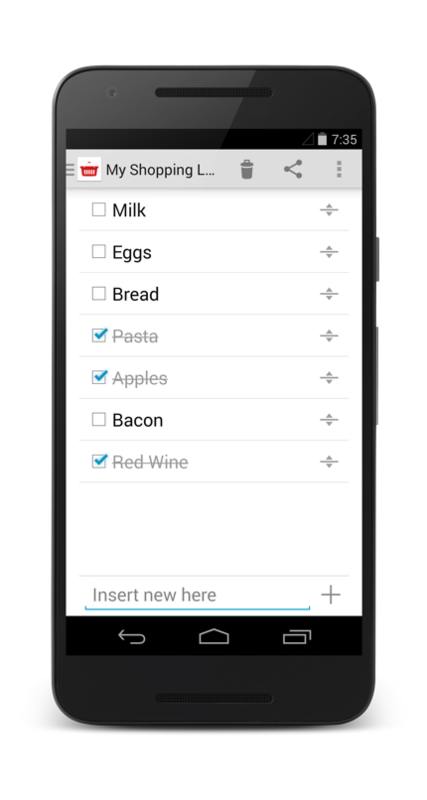 An easier and faster way to create your shopping list. What users say about Shopping List on Google Play. Quick, simple and easy to use I love this app. So many grocery shopping apps are way over complicated and slow. This app is quick, simple and anyone can figure it out. Still love this app After a year+ I still love this easy to use and very handy app. I use it all the time for all my lists. Great tool for trying to stay organized!! I have really bad allergies and impaired vision. It keeps up with my families constantly changing shopping needs, and my need for something big and easy to see and use! I this app... it's my life I make lists for everything. Packing, moving, grocery shopping, meals, cleaning...but I always lose them...now they are! On my phone! Missing a feature? Suggest an idea or vote for existing ones. Drop us an email, anytime. We would love to hear from you.